Bathafarn Hall CL Site lies amid unspoiled countryside at the foot of the Clwydian hills just 1.25 mile from the medieval market town of Ruthin. 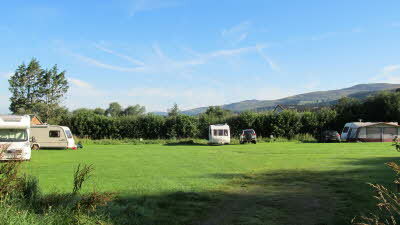 This site is a truly peaceful oasis and provides stunning views of the Clwydian range and consists of a flat 1 acre lawned area, good TV reception, and free wifi available at one pitch. This family run site is an excellent base to make friends, barbecue, read a book or just relax with a glass of wine and watch as the sun sets on the distant hills. 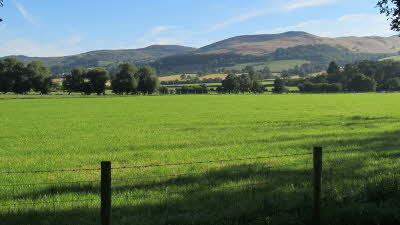 The surrounding area offers a variety of walks, with Offa`s Dyke running the length of the Clwydian Range. Ruthin and the surrounding area are also popular with cyclists. The market town of Ruthin is steeped in history and is linked to King Arthur and the Welsh Prince Owain Glyndwr, who burnt it to the ground in 1400. Ruthin has many listed buildings dated between the 16th and 19th century. Ruthin Castle was once a medieval fortress. It was rebuilt in 1830 and is now a hotel. Ruthin Gaol dates back to 1775. It was rebuilt in 2002 and is open to the public. 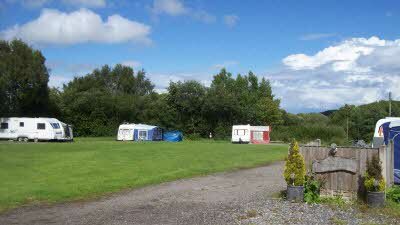 The site is also within 5 miles of a golf course and a sustrans National Cycle Network. 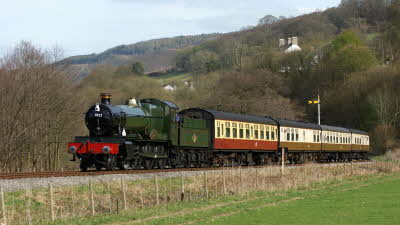 The Llangollen Railway is a volunteer-run heritage railway, located next to the Dee Bridge, that meanders alongside the picturesque River Dee through the Dee Valley to the town of Corwen. Journey along part of the former Ruabon to Barmouth GWR route that closed in 1965. Great fun for all ages. Great site, great views unfortunately not great weather! Owner Gareth is smashing fella very helpful with his tractor towing off a very muddy field.. No amenities except electricity but great to reception. Shane about the great British weather typical Easter weekend weather! Oh well back home now to wash the mud off everything! Very helpful and friendly owners.Lovely peaceful surroundings with great views of the hills.Very spacious field. Ruthin is well worth a visit and about a 30 minute walk on quiet lanes.The castle is now a hotel but you can still walk round the grounds.We visited the Craft Centre with free exhibitions.There are individual shops and cafes. Llyn Brenig about a 15 mile scenic drive away has beautiful scenery, walks,bike trails starting at the visitor centre.Much more to do in the area but we only had the weekend. A stay here has much to recommend it. 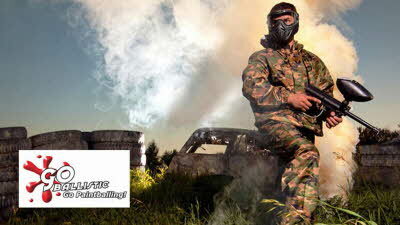 Picked this site out of the c.c. handbook while on holiday in Wales. Normally I would do some research but I was unable on this occasion. 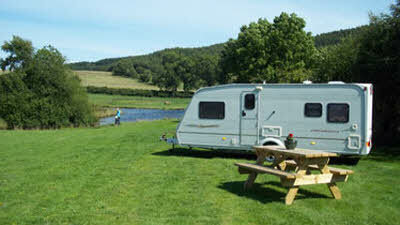 What a great little site, large field, good views, good t.v.reception, grass perhaps a little long. The town of Ruthin is close by with large supermarket and petrol station. We enjoyed our stay. What Camping is all about! This site is accessed via a private road which leads to the campsite and Bathafarn Hall itself which I believe is divided into a number of holiday lets although I could be wrong! 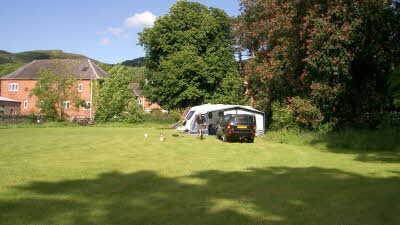 The site itself is located in a field (no hard standings) which is sheltered on 3 sides by trees and the hall. You can see for miles and there are some nice walks not too far from the site. As the previous reviewer has stated you can walk to the site to the town of Ruthin in about 30 minutes. As for Ruthin itself there is a prison and craft centre you can browse around. The pubs in Ruthin are not particularly dog friendly, Wetherspoons does let you sit outside on the patio, and the food is ok. The deli in the square does let you sit outside with your pooch or inside if you check that the other patrons don't mind. There is a large country park about 5 miles away but did not visit so can't comment on that! There are no facilities on the site itself except electricity. But this just adds to the charm. The owner is friendly and checks in with you to make sure that all is well, but other than that he leaves you alone. The adjoining field is sometimes used for rallies, there was one on when we were there but facilities are not shared and it did not intrude on the peace and quiet. I have only given the Ease of arrival 4 stars because the roads to the site from the A494 are single track and quite narrow a bit nerve wracking if you meet something coming the other way although here are passing places. Once you get to the Hall driveway you need to swing wide to get into the drive but its on a cross roads so this is not particularly hard. In my opinion this is the most perfect CL for piece and quiet in the most beautiful surroundings. 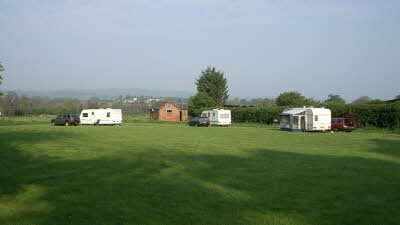 The pitches are spacious and all have nice views of the hills surrounding. 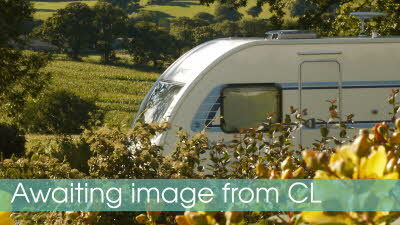 The CL has everything you need and is only a 30 minute walk down a quiet lane into Ruthin. This historic town has a lot to offer with nice local shops, and plenty of places to eat and drink. We visited the jail which was really interesting and a good hour or so's entertainment at only £4.00 admission. The walks around Ruthin Castle, which is now a hotel are lovely. all in all this CL and location are well worth a visit.